Most airline and airline loyalty websites tend to be dry and are designed for function over engagement. They allow visitors to book a flight for X date to X location or enable visitors to sign up for a loyalty program if they aren’t currently members. For Delta, the status quo wasn’t going to cut it. Delta partnered with Wyng to launch a visually enticing, interactive travel engine centered around inspiration, adventure and discovery through the eyes of SkyMiles Members. 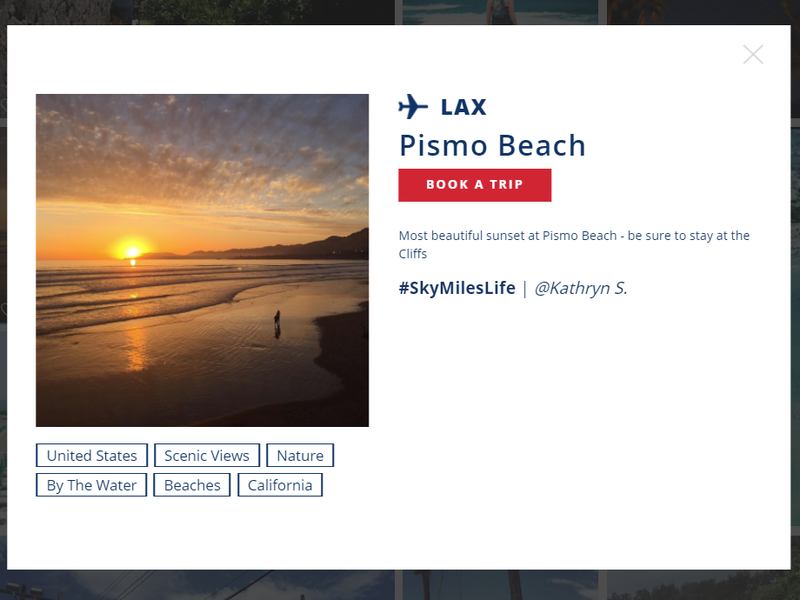 Delta’s new #SkyMilesLife website, powered by Wyng, is the first Instagram-fueled travel engine – where people can search photos from fellow travelers and book trips to the destinations that inspire them. The site content is 100% fueled by real travelers sharing their photos with #SkyMilesLife, letting visitors search the best experiences real travelers are having right now. SkyMiles Members are now able to share their travel photos and videos with Delta by using the #SkyMilesLife hashtag on Instagram or uploading directly to the site. Delta’s unique approach to highlight authentic, relevant, and compelling content created by travelers has led to increased brand awareness, driving both mileage redemption and ticket sales. 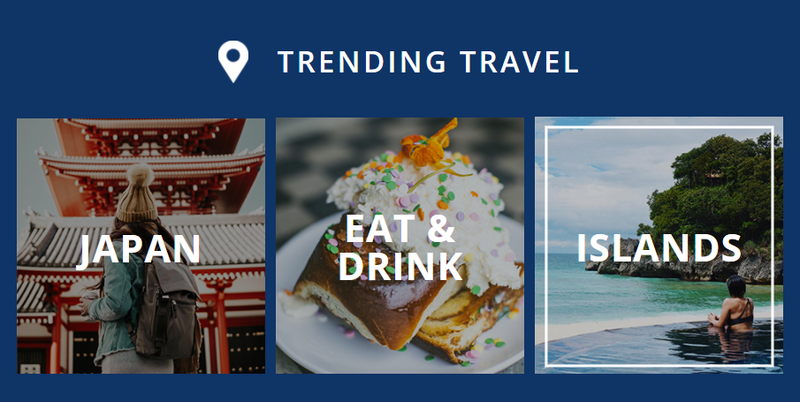 The #SkyMilesLife site features Delta travel destinations from around the world, searchable and filterable by region or city, activities (eat & drink, festivals, nightlife, etc.) and types of trips (adventure, luxury, romantic, etc.). The entire site is designed to drive exploration and discovery, and to bring their vision to life, Delta capitalized on a variety of new and existing capabilities in the Wyng Platform. Using Wyng, Delta was able to discover and engage with Delta loyalists in an authentic and aspirational way -- co-creating a visually stunning experience in the process. The content is primarily pushed through #SkyMilesLife on Instagram, making the whole experience a marriage of social and travel discovery. Delta, along with their agency Digitas, are also promoting the campaign with activations across other social and traditional channels, as part of a multi-channel marketing and advertising program. Along with promoting the website on Delta’s primary website and planes, they have released two short videos on YouTube, check them out here and here. They have turned these short form videos of the travel search engine into paid advertising and social media on Instagram and other channels, driving traffic and awareness of the campaign. In addition to their paid promotional tactics, the team has also been running a comprehensive email marketing campaign featuring content from #SkyMilesLife and promoting the travel discovery engine. Using our new URL Parameter Search (read more about this new feature below!) Delta has the ability to link consumers directly to a personalized view, showcasing content for a specific destination. Keep reading to learn more about the new product capabilities in the Wyng Platform that Delta took advantage of to create their #SkyMilesLife website. We've taken tagging content in moderation to a whole new level in the Wyng Platform with our latest product launch. An issue many of us have had while browsing the internet is difficulties with searching, when your search terms just aren’t turning out the results you need. To help our customers and the consumers visiting their campaign websites, we’ve added enhanced tagging capabilities to take the headache out of searching for and categorizing content. Search Input - We’ve added filters, so consumers can search a gallery by any tag associated with an image. 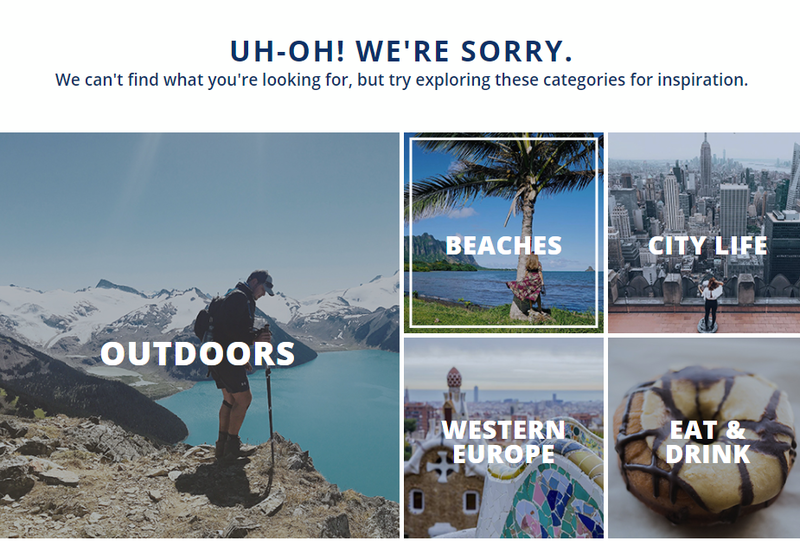 For Delta, consumers were able to search galleries by region or city, activities, or types of trips. Gallery Filters - Along with easy search capabilities, we added gallery filter capabilities, so consumers can sort and browse content by a series of dropdown options. Trending Travel Buttons - Sometimes you may not even know where to begin when searching and exploring vacation options. To help make the discovery process easier, we’ve added new clickable images/icons that will filter the gallery by a particular tag that is trending. Delta added these tags to help their consumers explore and discover new content that they may not be searching for themselves. Search Error - When it comes to engaging consumers online, no page should be a dead end. To keep consumers moving and clicking, we added display specific content when a search returns zero results. This can be a specific message or pre-defined search options to inspire users, which Delta used for their website. URL Parameter Search - For lifestyle and experience-focused e-commerce brands, like Delta, being able to reach your consumers with targeted emails and ads with destination-specific information is essential. So, to help these brands, we added parameters to URLs that will bring users directly to a targeted gallery filtered by the appropriate tag. For example, Hawaii or City Life. The above new customized expanded views available in the Wyng Platform are more than just a sleek new look that can be added to display UGC and co-created content, the functionality will also give your campaign a boost and create a more seamless, informative experience for consumers. Dynamically Generate Content - Airport code (LAX) and Location (Pismo Beach) are dynamically pulled in from specific tags on the image. Hide Social Comments - Maybe you love a photo but don’t love the comments (mentions competitor, profanity, etc), you can now add a tag to hide the comment from view so the gallery can still display the image! Clickable Tags - Display tags associated with an image in the expanded view (below the image) to allow for a new quick search to filter the gallery. Targeted CTAs - For Delta, the "Book a Trip" button sends visitors directly to Delta's booking funnel, pre-populating the target destination by (you guessed it) a tag from moderation! Along with the above, Delta also took advantage of video headers, mobile customization, and customized full-width carousels with autoplay features to pull their website together. 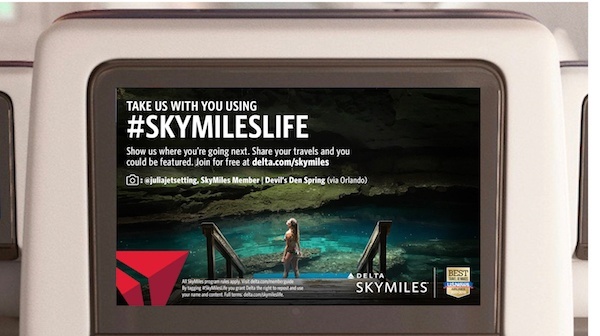 Delta #SkyMilesLife launched in March, and is the result a collaboration between Delta, Digitas and Wyng. It is the first site built using our new product, which is currently available in a limited release. Contact us to learn more about how you can launch a website similar to Delta’s #SkyMilesLife.